Author Tim Callahan is a writer of Space Opera and Superhero fiction with a bit of Science Fiction horror mixed in. He is a member of the Dragon’s Rocketship Facebook Group. Hello, My name is Tim Callahan. I work in the IT department of Philadelphia Law firm. I’ve lived, and worked, in Philly most of my life and it’s a place I love. I’m married with two dogs, A pitbull-terrier named Jeffery (Named after a robot in a commercial I liked at the time we got him) and Cocker Spalie/ Black Lab mix named Kenseth. (Named after a race car driver.) Besides writing I enjoy reading, Football, Baseball, and vacationing with my wife. Started writing when I was a kid, probably around 11 or so. I always had way more imagination than smarts and would constantly act out in school, thinking that I saw a ghost or that aliens were going to come and take me away. I also loved to read. Mostly comic books but I eventually moved on to novels. There wasn’t a day where I didn’t have a book in my hand or I wasn’t tucked into a corner of the house reading something. It was during the idle times that the voices, who I later discovered were characters, would just tell me stories about themselves and what they were doing. Eventually, I realized the only way to shut them up was to write down what they were telling me. Didn’t take me long to realize how the act of writing not only shut them up, but it was also a lot of fun. When I finished my first book, at the age of 13 (It wasn’t a very good or long book.) Even though I didn’t know it at the time, it showed that I could start and finish a story I had written. That’s probably the hardest part for beginning writers, finishing, and it’s something I knew I could do at an early age. It’ll be the fifth book in my Evolutionite Chronicles books. Set in the city of Haven, which has the largest population of Evo’s, those born with special powers, it’s going to be about a powerful man with god-like powers returning after everything thought he was dead. A small group of Evo’s get together to try and stop him from destroying the world. My love of comic books and comic book stories. I can’t draw so writing is the best way to get those stories out there. A lot of writers influenced my style but I really try to emulate the greats like Arthur C Clark, Robert Heinlein along with some of my new favorites, like Tim Pratt, Jim Butcher, and John Scalizi. Don’t jump to judgment until you have all the information. know or events in your own life? Probably nothing they haven’t heard before. Write every day. Write what you’d love to read. Don’t worry about what people think. Don’t even worry about what you think while writing. Trust your instinct. Sometimes your writing brain is ahead of your thinking brain and understands the story better than you do. Keep doing what you love. It might not be writing, it might be drawing, it might be computers, it might be working on cars. I’m lucky in that I get to work on computers all day, something I’ve loved as much as writing, and I get to write when I’m at home. Long as you do what you love and you’ll always find happiness, even in dark times. 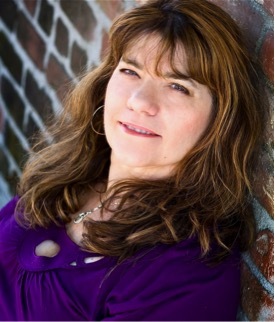 Karin De Havin writes Young Adult fantasies as well as Paranormal stories from her timber frame lodge home in the Pacific Northwest. She lives with a pair of tuxedo cats that help her write by jumping on keyboards, and her pianist husband who wears a tuxedo while he tinkers with the keyboard too. Please welcome her to No Wasted Ink. My name is Karin De Havin and I am an author, designer, and artist. I split my time between designing and putting pen to paper or rather fingers to the keyboard. I’ve always been creative and have expanded my mediums from paint, to fabric, to words. I had been working in the grueling fashion industry as a designer and needed a break. I took a creative writing course in college and have always enjoyed writing short stories but never had a chance to follow through on my passion for writing. So after over a decade in the fashion business working for several companies, I decided to go freelance so I could finally have the spare time to begin my first novel. After I sold several short stories and a few magazine articles. I thought if people are willing to pay for my stories then maybe I’m a writer after all. I’m almost done with the final book in my heaven fantasy series, The Katran Legacy. I will be sad to say good-bye to my characters after spending several years together, but I’m enjoying giving them the ending they deserve. It’s a bit of a strange inspiration story. I was at a funeral of a friend of my husbands. It was very sad, as he was only thirty-five years old when he died from cancer and had so much life to live. But I was amazed at how his friends weren’t upset and were able to celebrate his life. They took turns telling stories about all the crazy adventures he had in his life as an extreme sports enthusiast. His friends said in his last days he was at peace with dying. He’d lived a full life and had no regrets. There were several high school age kids at the funeral and I thought what if one of them died? The conversations would be totally different because they haven’t had a chance to live their life yet. Then I thought wouldn’t it be wonderful when they arrived in heaven they were given an opportunity to earn a second chance at life? That’s what started the idea for Nine Lives, the first book in the series. I would say I’m a very character driven writer. I come up with story ideas all the time, but before I can flesh them out, I need to visualize the key characters first. I have to hear their voices and see their faces before I can put the story to the page. The story in the fourth book is about discovering a new path for the characters now that they have won back their lives. They will never be the same after what they experienced in heaven. Some of them reconsider going to college while others are certain they want to strike out on their own. 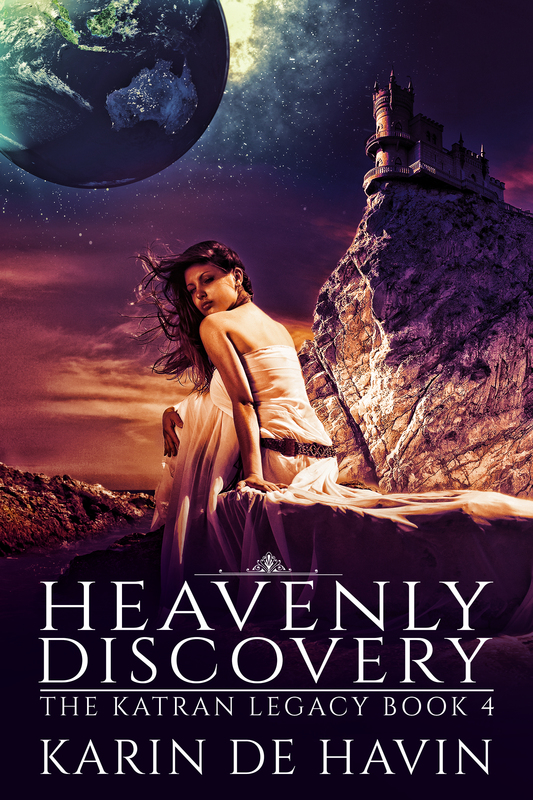 I also picked the title because Heavenly Discovery worked well with the previous book, Heavenly Returns. Yes. Just when you think all hope is lost you have the power to turn things around. But things are never easy, so you need to hard work, have a little luck, and the help and support of good friends. I think all writers base their books on experiences even though they may be writing fantasy fiction. I’ve never died and gone to heaven, but I’ve been given second chances in my life and I learned not to waste them. I love all types of authors so I have a broad base of influences. Authors I admire are Jane Austen, Kurt Vonnegut, Tolkien, J.K. Rawlings, and George R R Martin. What drew me to their writing were their amazing characters and their world-building abilities. You might be thinking Jane Austen had world-building abilities? Yes, she did. She was a master of capturing the life she experienced in the Regency era. Her descriptions are so vivid readers for decades have traveled back in time through her books. My love of her books inspired my Victorian genie time travel series, Jin In Time. I actually am lucky enough to have two writers I admire as mentors. My first mentor and I were represented by the same literary agency. Our agent matched up as critique partners. After being traditional published my mentor left the agency and went indie. She was quite successful so I followed her two years later. I had only been traditionally published so she’s been a lifesaver learning the ins and outs of the indie publishing world. The second is a new mentor who is a New York Times bestseller who is helping me grow my writing even more. I’m so excited to be working with her. Kellie at Book Cover by Design did the cover. She has done many of my mentor’s covers and which are truly amazing. It was a no-brainer to use her too. As an artist, I can appreciate all the hard work Kellie puts into her covers and her wonderful sense of color and composition. You need to study the craft and be passionate about your stories. Telling a good story is an art. It’s a very tough business. I’ve found it to be even harder to learn than the fashion business, which is notoriously difficult. You need to believe in yourself and never give up. Thank you so much for reading my stories and believing in my characters. I really appreciate your enthusiasm for my series and your willingness to jump right into the crazy worlds I create. You’re the best!